Our estate agents in Kingstanding will give you an award-winning service, regardless of if you are selling, buying or letting. Love Your Postcode’s experienced team of professionals are driven to provide the highest level of customer satisfaction. We pride ourselves on our specialised and friendly customer service; we are experts in property and can help you to buy, sell, rent or manage. With a fantastic range of properties available to buy and rent, we’re proud to be West Midlands fastest growing estate agency. We are here to make renting / letting a property a stress free, straight forward process. We pride ourselves on being one of the leading letting agents in the Kingstanding. Our team understand the difficulties faced by people today, trying to find a home for their family in a suitable area which they can afford. We also know the complications that landlords face during the process and assist with all issues. Our estate agency covers the entire local housing market as well as homes in all surrounding districts. Please browse through our properties for sale in Kingstanding to see exactly what we have on offer.  Love Your Postcode have a team of highly experienced individuals who have worked in the local market for many years. We know your market inside out. We are a proactive agency who listens carefully to client needs and we endeavour to tailor make a service that’s right for you. Our goal is to forge long-term business relationships with our customers and we continue to achieve this by having a comprehensive understanding of the continually changing property market. We have highly qualified and passionate staff to provide the best possible service and value on an ongoing basis.